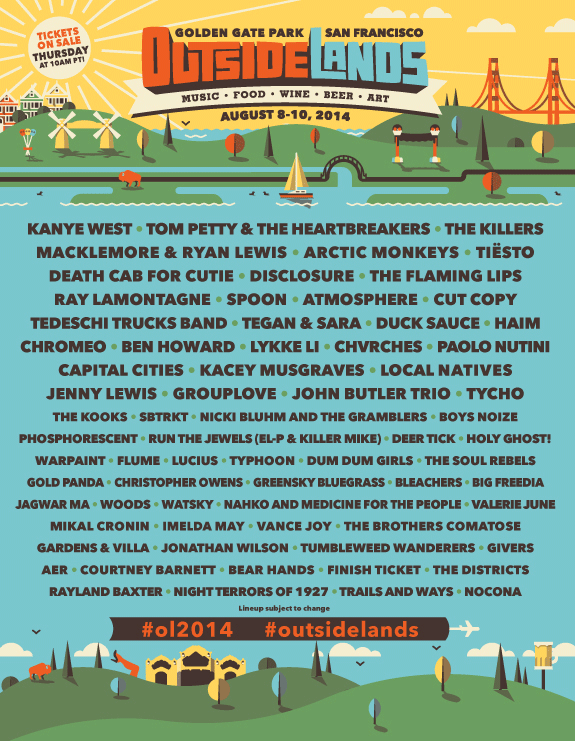 Outside Lands | Do You Hear The Music? I lost track of how many shows I’ve seen this year. Needless to say that it was a lot over the past 365 days and I’m not even done yet! Closing out 2013 with oh sweet music but before then, here are ten of my favorite concerts from the past year (including festival shows). If you like to listen to: Jack’s Mannequin, Sleeper Agent, The Lonely Forest, Ben Folds, GROUPLOVE, and why not, Billy Joel. 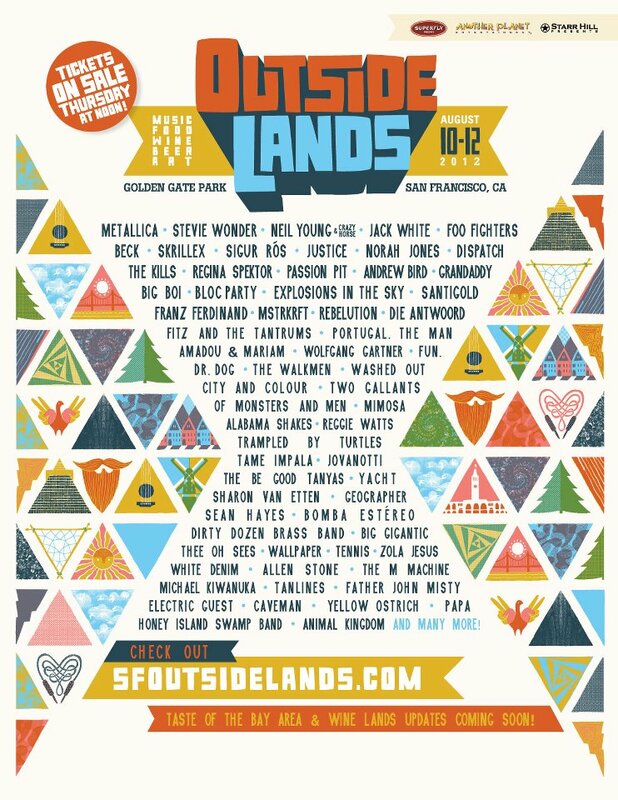 A tip of the hat to Superfly for their clues to the Outside Lands 2012 festival lineup. If you’re on Instagram, follow Ranger Dave at OUTSIDE_LANDS where they’re dropping an album cover each day until the line-up is released in full on April 17. So far Sigur Ros, Fitz & The Tantrums, Passion Pit, Portugal. The Man, MSTRKRFT, Two Gallants, The Walkmen and Cavemen. Another band I’ve been getting into recently and perfect for summer is GROUPLOVE. Based out of LA but formed out of one wild musical summer on the island of Crete, members hail from Brooklyn, Los Angeles and London. From the first listen to their self titled EP it was as if I was already familiar with the sound and heard these songs before. Each of the six-tracks on the EP present a dynamic indie-rock and pop sound with crisp guitars, solid drums and sheer joy but it is Christian Zucconi’s vocals that stand out and impress me the most. I still can’t pin his voice to who it reminds me of exactly but it captivates you (perhaps a blend of Todd Shaeffer of From Good Homes and Issac Brock of Modest Mouse?). Fresh off playing the legendary Glastonbury Festival, GROUPLOVE, are touring outside the states but return for gigs at Lollapalooza and Outside Lands this summer. If you’re going to one or both, don’t miss their show; you’ll want to see them before their debut release, Never Trust A Happy Song, drops this September.